Postal Workers Begin Four-Day Hunger Strike, Protesting Financial Situation : The Two-Way Former and active postal workers said they wanted to "shame" Congress and "denounce the postmaster general." Cartons of mail ready to be sorted sit on a shelf at the U.S. Post Office sort center in San Francisco, California. Ten current and retired postal workers began a four-day hunger strike today to protest Congress' interference with the United States' Postal Service. Specifically, the activists want lawmakers to kill a requirement that the service pre-pay its retiree health care and benefits fund and to approve a refund of surplus pension contributions. "Not the Internet, not the recession, not private competition, Congress is killing the postal service," Community and Postal Workers United wrote in a statement. 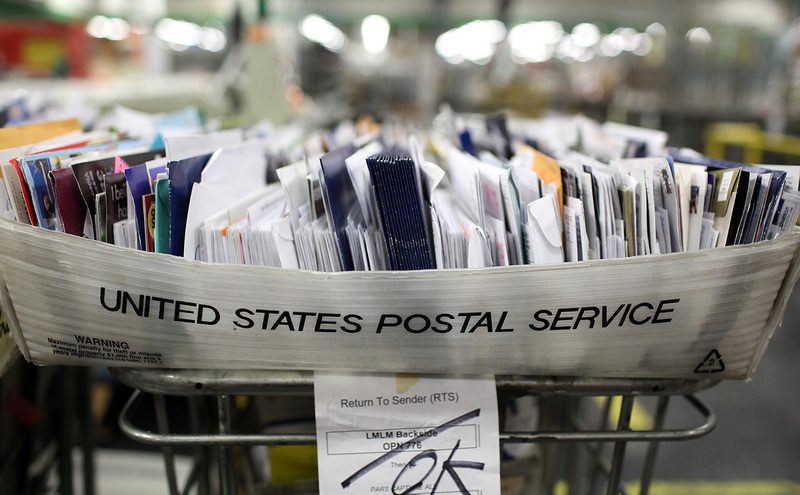 Without the pre-fund mandate, the Postal Service would be profitable, the group said. The group added that it wanted to "shame" Congress and "denounce" the postmaster general with its action. "On Tuesday, the activists will march to the Capitol from the postal service headquarters at l'Enfant Plaza; on Wednesday, they plan a protest in front of the Washington Post offices on 15th Street. The strike is scheduled to end Thursday with a rally in front of postal service headquarters, where protesters say they will try to meet with Postmaster General Patrick Donohoe. "The activists say they are targeting the newspaper over a series of editorials that have pressed for more cost-cutting and criticized the postal service's contracts with its labor unions as too generous to employees. "But the biggest target is Congress, which has not passed legislation to reform the cash-strapped agency. The Senate approved a bill in April that would rebalance postal finances by giving billions of dollars to offer buyouts and early retirement incentives to employees. Several bills are pending in the House." The Federal Times reports that the Postal Service's leadership agrees with its workers that the pre-fund mandate should be lifted. But the workers also disagree with Postmaster General Pat Donahoe, who initiated a plan that will cut thousands of jobs in the next few years. 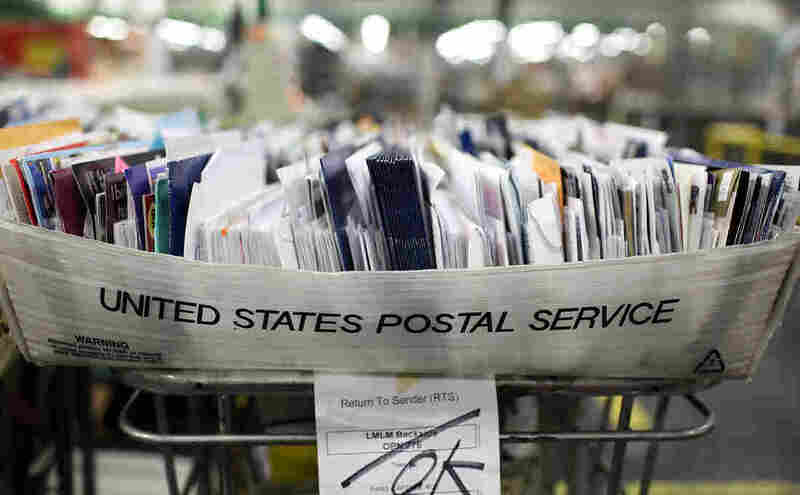 "Starting next week, the Postal Service plans to begin closing or consolidating several dozen mail processing plants as part of a longer-term push that could eventually halve the size of its network," the Federal Times reports. "At the same time, postal officials intend to cut customer service "window" hours at about 13,000 low-traffic post offices, and eventually replace most of the full-time postmasters in those offices with part-timers." The hunger strike is scheduled to end on Thursday.